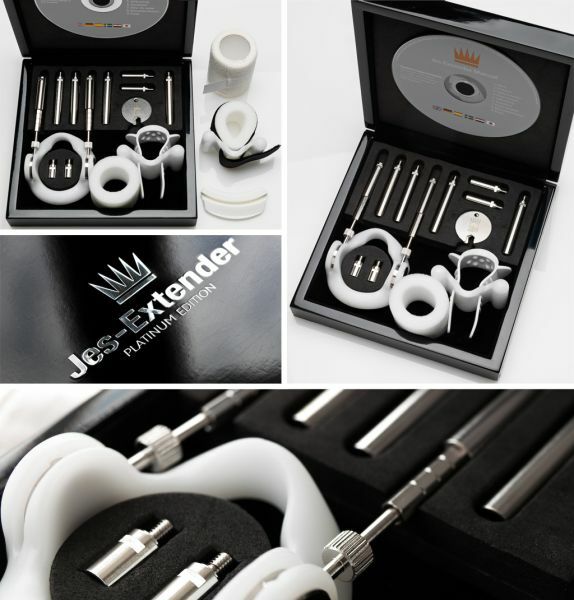 Jes-Extender Platinum SEXLEKSAKER | SEXSHOP: Stora DILDOS, Gratis Frakt! For the few men who simply want the best there is. All metal parts are coated in pure platinum, and come with a certificate to verify this, including lifelong warranty. Platinum is an extremely rare metal and its wear- and tarnish-resistance characteristics are well suited for making fine jewelry. Platinum is more precious than gold or silver. Denna sexleksak inkom i vårt sortiment den lördag 26 november, 2011.